Ventec International, a world leader in the production of polyimide & high reliability epoxy laminates and prepregs, has added to its extensive thermally conductive laminate and prepreg range with the launch of the VT-5A2, a next generation best-in-class, high Tg thin-core and prepreg material. VT-5A2 is designed for the world’s most thermally demanding PCB (Printed Circuit Board) applications such as power converters, hybrid multilayers and high power electronics with heavy copper designs providing enhanced signal stability in harsh environments. With VT-5A2, Ventec has created its highest performance thermally conductive laminate material so far, with a polymer matrix that is fully compatible with Ventec laminates, Epoxy or Polyimide based materials including tec-speed®, thus allowing total compatibility in the manufacture of hybrid multilayer boards. 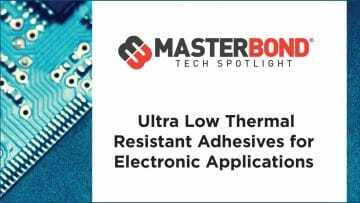 With a thermal conductivity 8 times that of FR4, VT-5A2 delivers class-leading thermal performance and high flowability for perfect encapsulation, allowing for better board design for applications requiring critical thermal management in harsh environments. Customers can choose between thin core and prepreg variants. VT-5A2 features a thermal conductivity of 2.2 W/m.K, a high Tg of 190°C, best in class thermal performance (T260 >60 Minutes, T288 >30 Minutes and T300 >15 Minutes) and M.O.T. up to 150°C. VT-5A2 is lead-free assembly compatible, fulfills RoHS and WEEE requirements and complies with UL94 V0. The VT-5A2 thermally conductive laminate is manufactured by Ventec using strict quality controlled processes that are certified to AS9100 Revision C, ISO/TS16949 and ISO 9001:2015, and, like all Ventec products, is backed by a fully controlled and managed global supply chain, sales- and support-network. For further information and to request a Technical Data Sheet, please contact sales@ventec-europe.com. Information about Ventec’s solutions and the company’s wide variety of products, is available here and/or by downloading the Ventec APP. Electronics Cooling magazine has been providing a technical data column since 1997 with the intent of providing you, the readers, with pertinent material properties for use in thermal analyses. We have largely covered the most common materials and their associated thermal properties used in electronics packaging. Introducing Our New Technical Editor – In the End, Entropy Always Wins… But Not Yet!